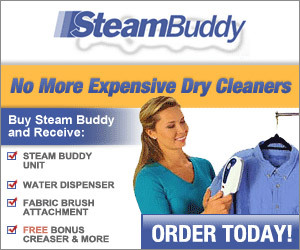 Put the power of your dry cleaner in your own hands! The fastest and easiest way to remove wrinkles in all your clothing right away. Original irons are dangerous and heavy but the SteamBuddy is light and fits right in your hands. Try it free for 30 days! You’ll also get a free bonus creaser.